First corn of the season. Nutrient recommendations based on soil testing and other soil and crop information are the basis for manure and fertilizer management for your field crops that optimizes economic returns while protecting water quality and the environment. The recommended nutrient rates reported on the UVM Soil Test Report and found in the Nutrient Recommendations for Field Crops in Vermont are based on crop response research and past experience. 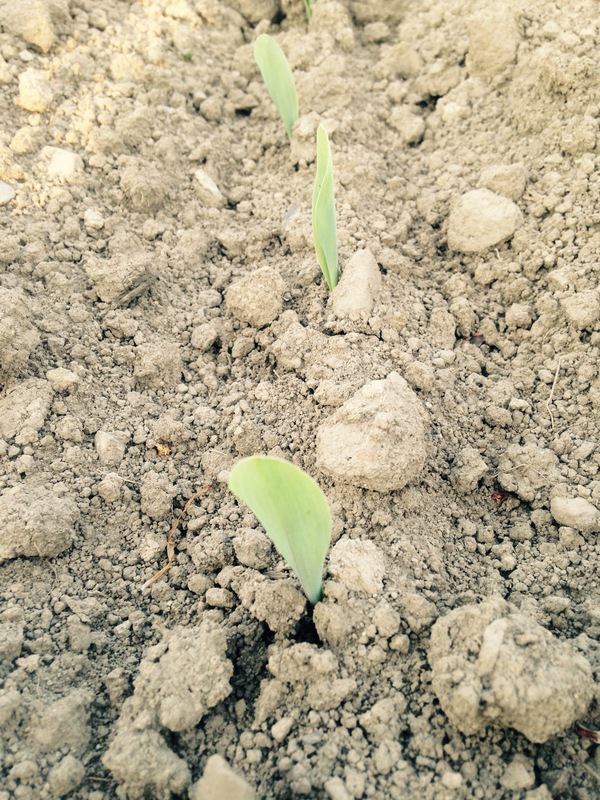 Recent updates have been made for nitrogen recommendations for corn production in Vermont, now available at: http://pss.uvm.edu/vtcrops/articles/2016_Soil_Test_addendum_UVMExt.pdf. These updates have been based on new research, changes in cropping practices, improvements in crop genetics, and ongoing results from the soil testing program at the University of Vermont, a joint effort of the Agricultural and Environmental Testing Laboratory, which conducts chemical analysis of the soils, and UVM Extension, which interprets and develops nutrient recommendations that are presented in the Nutrient Recommendations for Field Crops in Vermont, and in the new addendum, 2016 Cropping Season Addendum to Nutrient Recommendations for Field Crops in Vermont. This entry was posted on Tuesday, May 31st, 2016 at 9:10 am and is filed under Out Croppings. You can follow any responses to this entry through the RSS 2.0 feed. You can leave a response, or trackback from your own site.